WARNING: BEFORE SIGNING UP TO JOB SITES IN SINGAPORE…. Hundreds of CVs are submitted to job sites and job search portals every day. Before you make any submissions, ensure your CV is up to the mark. 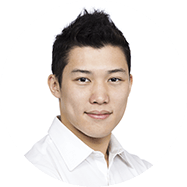 Get feedback on your CV from an expert – like our colleauge, Ex-Headhunter, Adrian Tan.